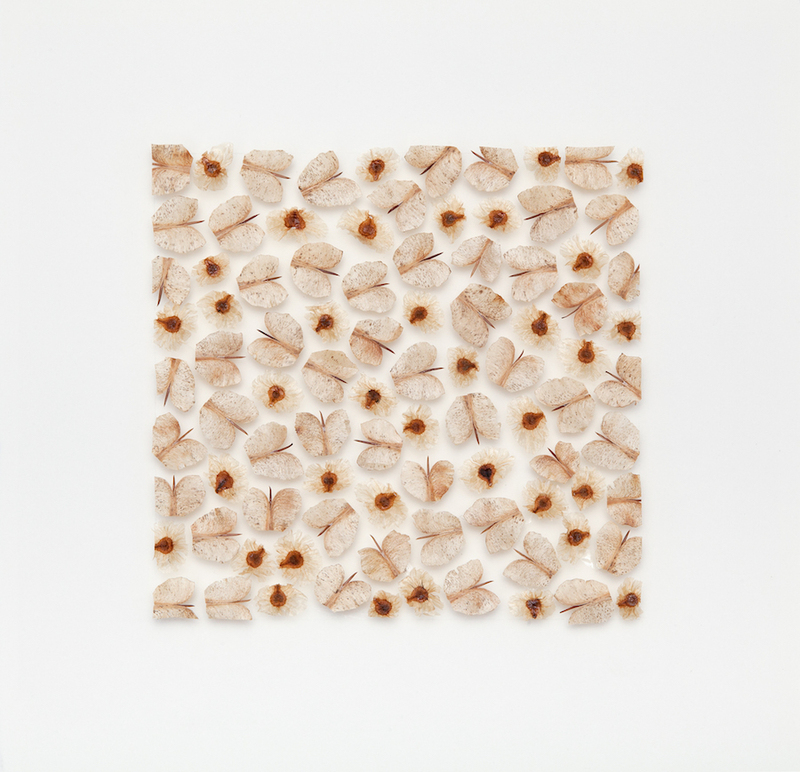 James Blackwell's artwork centres on themes of nature, silence, structure and meditation. Utilizing natural materials gathered from the Australian bushland and other resources, he reconfigures the materials into grid-like formations often in a 3 dimensional manner with the use of textured and handmade papers as a support. The overall effect produces intimate assemblages offering a contemplative space to reveal an aspect of tranquility and stillness. In addition to conveying calmness, the work implies the passage of time. The objects intricate detail and evident focus on process reveal a steady hand and time spent engaging with the material. The ephemeral nature of the artist's material also invokes our own sense of transience or impermanence, bringing to our attention the degenerative nature of our own physicality. Despite this sombre thought, there is also a playful aspect to the artworks; gum leaves become written text, tufts of fragile stalk fluff balance precariously on tightropes of grass tree stems. "Part of the joy in creating these works is seeing what can become of the easily discarded or ignored." Bushwalking in the Blue Mountains has become part of the artists lifestyle "I like to think of the valley floor as my art supply store!" James Blackwell is represented by Lost Bear Gallery Katoomba NSW.